Welcome one & all! After a week off, I am ready to roll with another exciting blog post! This week, I will discuss an idea that isn't unheard of, but needs to pick up steam! That topic is... the creation of a NASCAR Network! First, I will layout the idea, then expand on possible plans & suggestions. Enough talking, let's get working! First things first, have you ever heard of the WWE Network? If you haven't, you're missing out on a great platform (at least if your a wrestling fan). The gist of the Network is to provide one place for as much wrestling content as the heart desires. Content includes live events, behind the scenes, documentaries, and more. When I say more, I don't mean riff raff content to waste your time, I mean more as in paper-views. Yes, those things that used to cost you $60 to watch, can now be viewed for $10 a month. In fact, I'm watching WrestleMania 34 as I type this. Simply put, for $10 a month, I can watch whatever I want, when I want, in the world of WWE. Now that we have a basic understand, here is how the NASCAR model could work. The last piece of knowledge you need before we set the framework for this (very possible) project, is that there are multiple series that NASCAR doesn't make openly available in all regions of the country/world. Aside from the three national divisions (Monster Energy Cup, Xfinity, Camping World Trucks), there are 6 touring divisions under the NASCAR banner. Those series include the NASCAR Pinty's Series (Canada), NASCAR Peak Mexico Series, NASCAR Whelen Euro Series, K&N Pro Series East, K&N Pro Series West, and the NASCAR Whelen Modified Tour. In terms of coverage, these series are rarely (if ever) showcased on national TV. Occasionally, you may catch a race out of the blue, but in general these backbone series aren't highlighted as they should be. This proposed network would change that drastically. So to finally jump out of the bush I have been beating around, here is the idea... One place to watch all NASCAR content. Just imagine if you could watch any form of NASCAR content you wanted, any night of the week. During week nights you can catch up on anything you've missed, or wait to watch your favorite touring division. Another out-of-the-box idea, could be to add the NASCAR Whelen All-American Series. This series consist of the local racing divisions you see at your home track every weekend. Once a week or once a month, NASCAR could highlight one home track & show there races around the world! How about that for boosting grassroots racing! So we've got the idea... but I'm sure there would be questions. First, how would it work? Simple. NASCAR just like the WWE provides LIVE coverage of all series. This can include qualifying sessions, practices, and of course the main event. As for the extra content we talked about previously, this could either be live or pre-recorded and added later. Next, how much would it cost? NASCAR could do this in two different ways. The simplest idea would be to steal a page from WWE's book. Charge one fee for everything. WWE charges $10 a month for everything. Honestly, with the proposed platform NASCAR could afford anywhere from $10-20 for a monthly fee. Fans want racing, so as long as the price doesn't get ridiculous, this could be wildly successful. 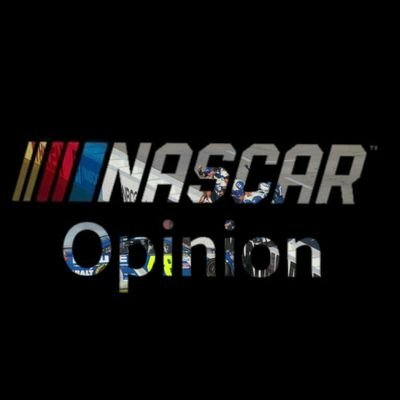 The second method NASCAR could use, is to let fans pick what they want to watch. For instance, if you only wanted to watch the 6 touring divisions you could pay one price. Meanwhile, if you wanted all divisions including touring & national, you could pay an all inclusive price. Plain & simple, you pay for what you want to see. Lastly, where would the Network be available? Well let me make this short & sweet. EVERYWHERE. Well, there you have it folks! Hope you all enjoyed this post & share this around, who knows who could see this! This would definitely be something I would invest in! Hope you have a great week, and let's get ready for Bristol!